Another bank holiday, another IpBoG. About 18 people or something through the doors which is pretty standard for a bank holiday as numbers seem to drop a little. Although two IpBoG members were at Cult for the whole afternoon playing Magic so maybe they should count double? In case you hasn't guessed it from the title, the hot new game this week was Isle of Skye. Well, not that new but new to IpBoG. 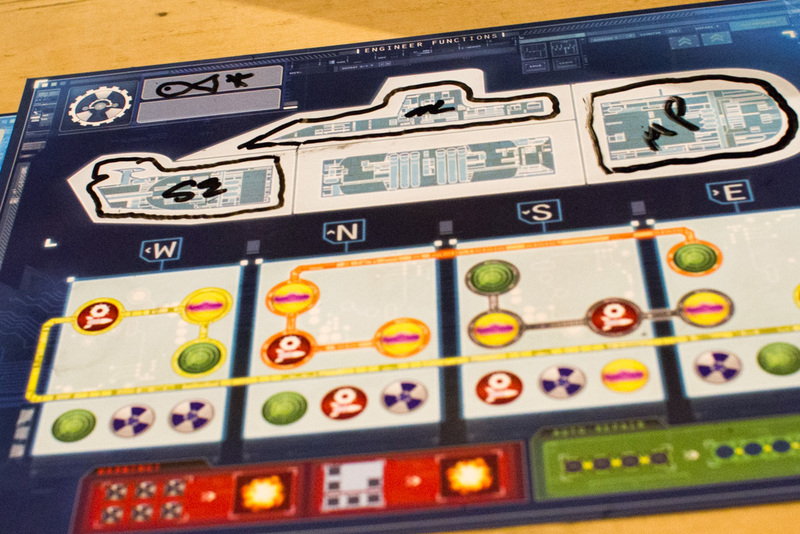 And hot because it recently won the Kennerspiel des Jahres award. It's kind of Carcassonne (by which I mean it's a tile laying game) crossed with Castles of Mad King Ludwig (by which I mean you price up your tiles for other people to buy). Unlike Carcassonne however, everyone is building their own layout rather than one single shared one, kind of like in Karuba. It takes about an hour to play and is simple to learn but with a decent amount of meat to it. I don't love tile laying games but I didn't hate this one, I'd put it up there with Caccao. by that I mean, Alex thrashed everyone. Afterwards I had a lovely time playing The Bloody Inn. 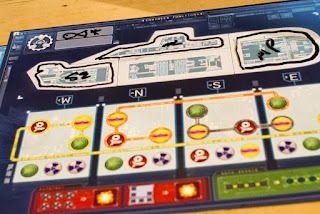 Lovely because I won, games are, of course, nothing but a cruel, slow, torture any other way, Other people played Archaeology, Archaeology, Captain Sonar and the obligatory Good Cop Bad Cop. Some of the people had a lovely time but statistically most of them must have had a terrible time. I love the blog, thanks for sharing. I got excited when I read it because there is a suburb in my home town Brisbane, Australia called Ipswich but it became abundantly clear after that you are not located in Australia. There are some gaming groups here but I haven't seen any i am that interested in which is a pity because I have a huge collection of games. I really enjoy the Bloody Inn and echo your sentiments about Isle of Sky.